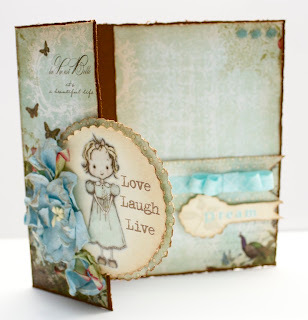 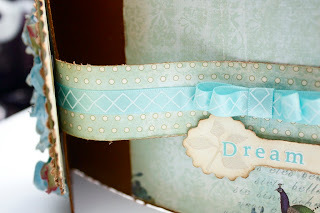 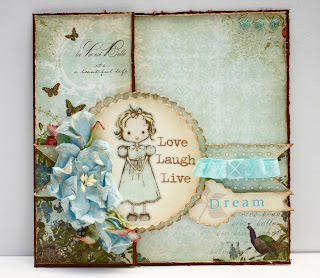 Here are two of my new projects done for February challenge at Our Vintage Affair. 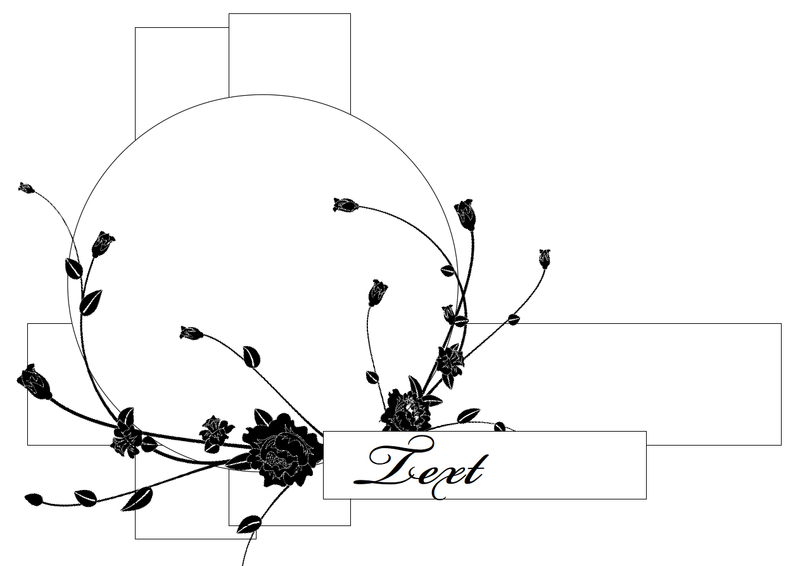 The challenge this time was: three papers + sketch. 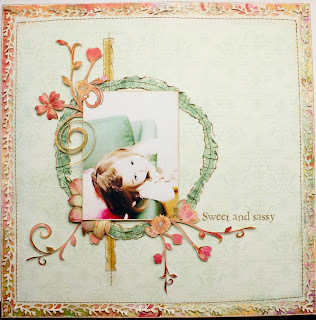 LO "Sweet and Sassy". 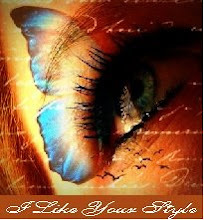 This photo of Ulrika was made by friend of mine Laura - I love this photo! 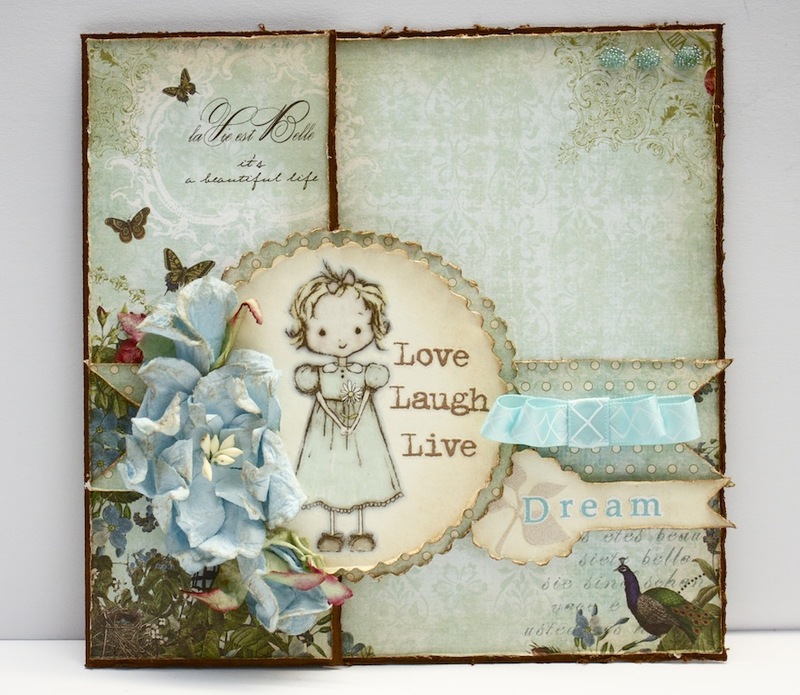 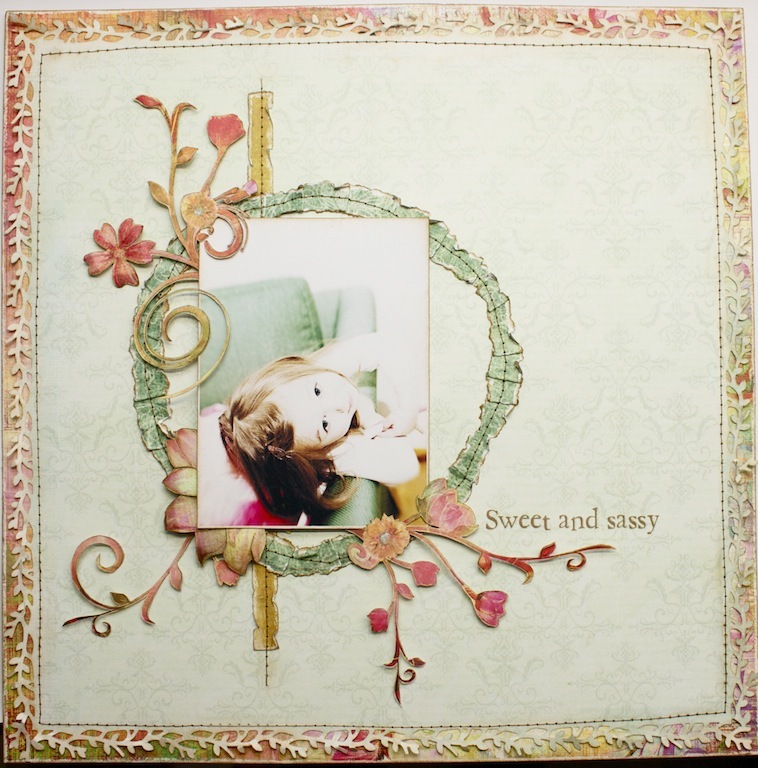 It is so different, so girlicious, sweet and dreamy... Three papers used: "Adored" from Whisper collection (Prima), "Garden Party" from Fairy Flora collection (Prima) and Grønn Ornament from Vibeke Spingseth (Scrappers Choice). The paper stripe is working as a lock for a card. There is an opening under image to insert it in. Thanks for stopping by! And do not forget to participate in OVA challenges!